Do you ever wonder where the Kirkland batteries in your remote control are named after? That’s right, it is Kirkland, Washington: a beautiful, waterfront city beaming with shops, restaurants, and quick access to the cities of Bellevue, Redmond, and Seattle. It’s no wonder, then, that this city has attracted nearly 90,000 residents and is a hot spot for everything from a first starter home to a retirement estate. Currently, the 250+ listings on the market range from $199,000 for an all original, 1 Bedroom/1 Bathroom condo, all the way to $6,700,000 for a 3 Bedroom/3 Bathroom condo staring west towards downtown Seattle. At Sound Home Advisers, we want you enjoy your new home that we inspected. But even more importantly, we want you to enjoy the activities, sights, sounds, and flavors of your community. No matter your budget, what can you expect to enjoy in Kirkland, Washington and surrounding cities? 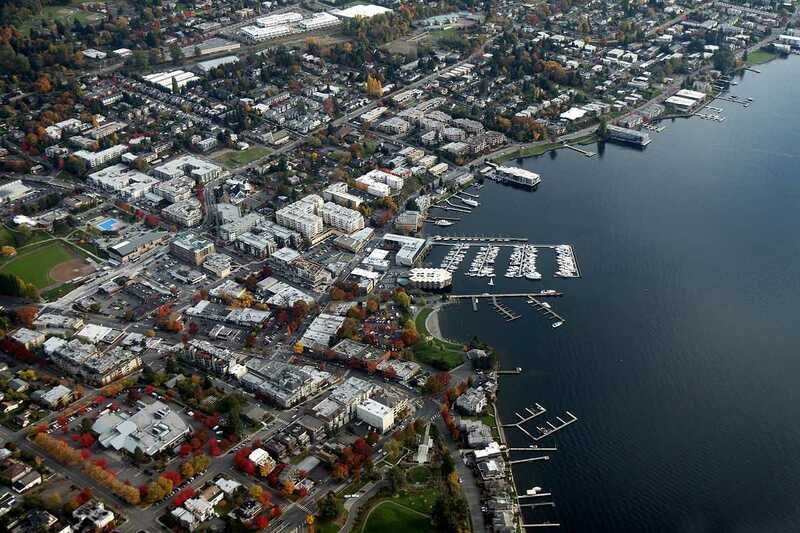 Kirkland is home to over 210 restaurants, many of them with waterfront views. Enjoy dishes from the Mediterranean, India, Asia, Italy, Mexico, the Middle East, the Americas, and more. The greater Seattle area is famous for its obsession with coffee and Kirkland does not disappoint with dozens of delicious cafes and coffee bars. After enjoying a delicious meal, burn off those calories with a stroll down the boardwalks. Along the way, stop in at one of Kirkland’s five art galleries, seven performance centers, or spend a Saturday afternoon locating all 35 public sculptures throughout the city. Check out Kirkland’s featured businesses here. Seattle is home to much more than flannel and 90’s haircuts. The Emerald City is a melting pot of culture, music, food, and expression that would take months or even years to experience fully. Take in Pike Place Market, check out the newly renovated Space Needle, or bask in the panoramic views from Kerry Park. The museum formerly known as EMP, now MoPOP, explores the impact of popular culture on the generations. If you’re feeling more eclectic, sign up for the Underground Tour and find out about some of Seattle’s less famous history. Enjoy the casual French cuisine at Café Campagne, climb the water tower at Volunteer Park, or stand at the top of Seattle’s first skyscraper, Smith Tower. Visit Seattle is the official tourism site for Seattle. Bellevue, Washington is the fifth largest city in the state with over 140,000 residents calling it home. Home to over 80 miles of trails and paths, Bellevue is both metropolitan and suburban. Enjoy a round of golf or tennis after work, or perfect your front crawl at the Aquatic Center. Enjoy a morning at Kelsey Creek Farm where there are outstanding activities for the family and kids. For the finest shopping and dining that Bellevue offers, head downtown to El Guacho or John Howie for world class surf and turf. Afterwards, spoil yourself at Bellevue Square Mall, part of the Bellevue Collection. Discover Bellevue is a wonderful resource for local events and things to do. Redmond, Washington is much more than the home of Microsoft. Marymoor Park hosts year round concerts performed by top bands from around the world, as well as tiny house living expos, and late night movie showings out on the lawn. Active sports fans will want to check out the Redmond Bike Park. The Eastside Symphony Orchestra calls Redmond home and Teatro Zinzanni is sure to satisfy circus and cabaret goers of all types. Wind down on your way back home to Kirkland by stopping in and touring Woodinville Wine Country. Sample some award-winning wines and spirits from the likes of Woodinville Whiskey, Columbia Winery, and Chateau Ste. Michelle. Find more out at Experience Redmond.